This is an amazing new phenomenon that allows people to rent out either a room, part of their house or all of it to vacationers for a very reasonable price. Jump onto http://www.airbnb.com.au, type in the location you are going and it will come up with a list of available places. It is cheap because it is someone’s home, not a hotel. It is better than a hotel because you get the comfort of home facilities such as the use of a kitchen, lounge room and space. There is a description of the place and the person who lives there, although a lot of the time they will be at work or don’t live there full time. This is hugely popular around Europe and America where the hostels can be $50+ a night. This is an incredible way to rent a room central to where you’re going, for cheaper than a hotel and more comfortable than a hostel. There are plenty of websites that offer cheap last minute accommodation deals. Get to know them and refer to them when you’re heading somewhere. My favourites are www.wotif.com and TripAdvisor. This is where you log onto http://www.couchsurf.org, search for a location, and find a list of people who are offering their couch for free for travellers and ask them if you can stay. It sounds too good to be true and totally creepy, but if you’ve ever met people travelling you will understand how this kind of hospitality is normal. Profiles are thorough and you can gauge what a person is like pretty quickly. Some hosts will take time to show you around, hang out with you, or some might not have time. Either way they are opening their home to you to hear your travel stories and make new friends, so chances are they’re genuine and a good time. Check out my post about Couchsurfing for more information and my experience. After staying in hostels, I would never voluntarily stay in a hotel again. In saying this, I am a solo traveller and am therefore all about the social side of travelling and meeting new people. 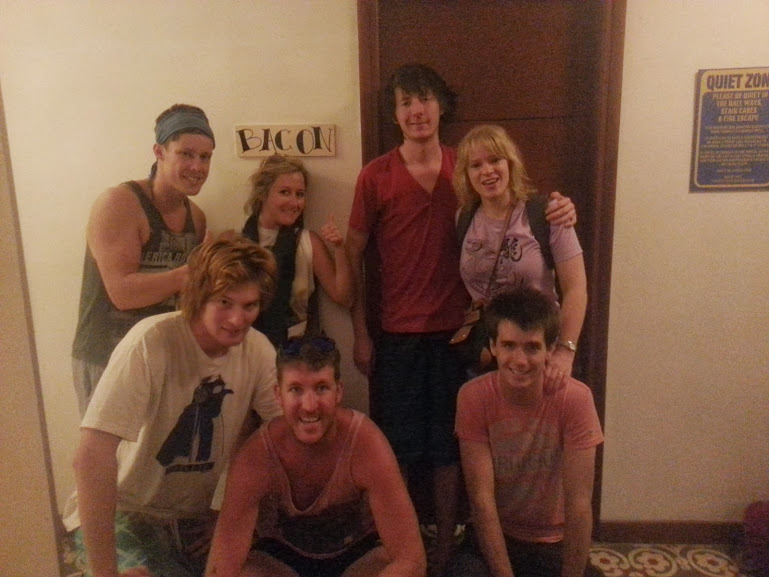 Hostels are home to the poor backpackers who want to party and make friends and they are AMAZING fun. Rooms can be anywhere from $3 to $50 a night depending on the country, and can have 4 to 40 beds in them. Most hostels have a large choice of rooms and some have female only dorms (but where’s the fun in that). Some have ensuites, some don’t (so you use the bathroom on your floor). All have free wifi, breakfast, and most have a bar with cheap drinks and very helpful staff (who are mostly also travellers). This is the number one place to meet travellers on your trip and learn how to live with other people (who usually always end up becoming your friends)! Hostels and Budget Accommodation Worldwide ��� Beds from $4 ��� Book Now! Embrace these tips and stop spending too much on accommodation! This entry was posted in Accomodation, Blog, Cheap travel tips and tagged airbnb, backpacking, budget travel, couchsurfing, hostels, solo travel. Bookmark the permalink.